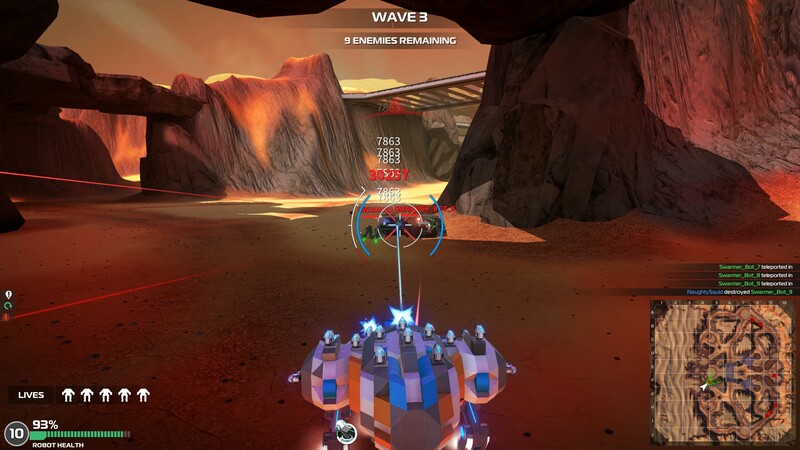 I've tried it out and it's actually not bad at all, a pretty good way to really test your design skills against increasing waves of difficult enemies along with some more powerful boss robots. They say it's currently singleplayer, with their wording seeming to indicate that they will allow others to play with you in future. Makes sense, since it's primarily a game to play with and against others. Quite interested to see where they take this new mode, a pretty good start and a nice addition to an already somewhat addictive game. I like the mode for another reason, for those who perhaps aren't into the competitive play this might entice more people to check it out. There's multiple modes to try along with each having difficulty options and I'm quite impressed. For a free game that I don't feel like is pay to win, they're supporting it pretty well. I do find it amusing that they removed Loot Boxes, yet players have still complained that the developers have tried to monetise it with some cosmetic options which is pretty reasonable in my books. Read more about it here. Find it on Steam.